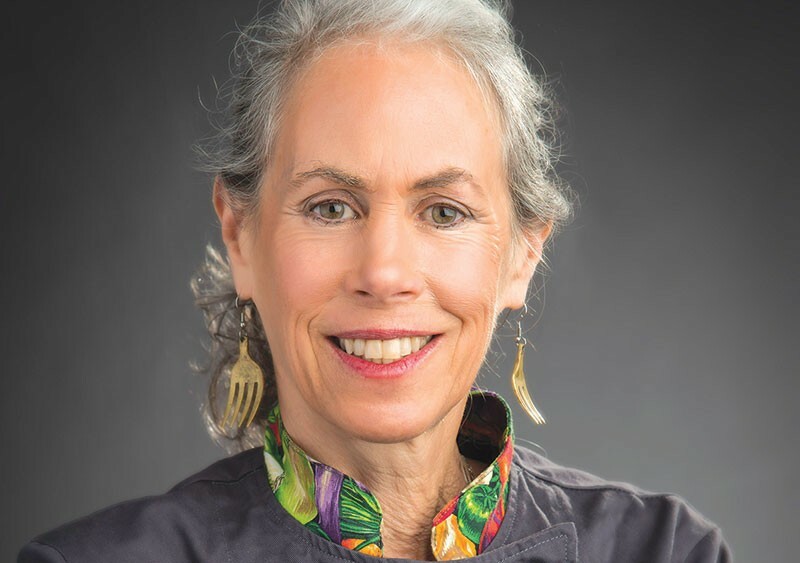 CHECK IT OUT The Sonoma County Library goes beyond books with its series of ‘healthy living’ classes, including a session on cooking winter veggies with Jill Nussinow. Want to kick off the new year on a healthy note, but don't know where to start? Check out your local library. The Sonoma County Library is currently hosting an ongoing series, "Healthy Living at Your Library," at all 12 locations through May. Aimed at educating people on healthful eating and cooking as well as physical fitness, the free classes range from cardio-focused kickboxing workouts to meditation and yoga to cooking demonstrations. Headed by library division manager Jaime Anderson, the series is part of the library's plan to create a much broader program that touches on more aspects of life. "Most people think of libraries as places to read books, and we have a literacy program where we teach people to read," Anderson says. "But this idea of a comprehensive services program goes beyond that." The healthy living series was designed around the 2016 Sonoma County Community Health Needs Assessment, which found that healthful eating and physical fitness are top priorities for county residents. The library also looked at the county's recent Portrait of Sonoma report, which documented health and wellness needs in the county down to the neighborhood level. The report found that these issues are largely preventable through education. "We thought, 'Wow, we could help with that, fill some of that gap,'" Anderson says. Funded with a federal grant administered through the California State Library, the series is especially helpful for low-income communities, Anderson says, who otherwise would not be able to afford gym memberships or who struggle to find nutritious food options. The living series offers a cooking demonstration on winter vegetables hosted by Santa Rosa Junior College culinary teacher and author Jill Nussinow, better known as "the Veggie Queen," that includes easy-to-make recipes. Also on the schedule are classes on yoga and ayurveda, a body science designed to treat symptoms naturally with remedies tailored to fit individual needs. Also look for health screenings presented in coordination with St. Joseph Health. Though many of the classes require pre-registration due to limited space, all events repeat several times over the next four months. The library has also created a Healthy Living Club in which participants can attend three classes, check out health or fitness books and DVDs, and complete a personal physical challenge to be entered into a prize drawing. Prizes include Sonoma County Parks passes, Fitbit fitness trackers, yoga kits and more. Beyond prizes, Anderson says a healthy life is reward enough in itself. "I think the community is ready for this." Healthy Living at Your Library continues through May at all Sonoma County Library locations. For schedules and registration information, visit sonomalibrary.org.